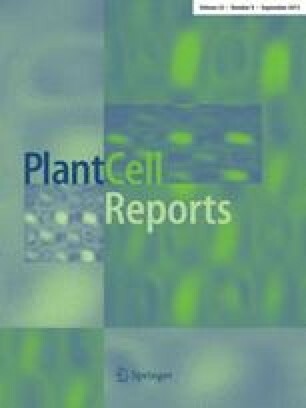 Regeneration via shoot organogenesis and somatic embryogenesis was observed from thidiazuron (TDZ)-treated leaf and petiole explants of greenhouse- and in vitro-grown African violet plants. The response of cultures to other growth regulators over a range of 0.5 µM to 10 µM was 50% less than that observed with TDZ. A comparative study among several cultivars of African violet indicated that 'Benjamin' and 'William' had the highest regeneration potential. In 'Benjamin', higher frequencies of shoot organogenesis (twofold) and somatic embryogenesis (a 50% increase) were observed from in vitro- and greenhouse-grown plants, respectively. At concentrations lower than 2.5 µM, TDZ induced shoot organogenesis, whereas at higher doses (5–10 µM) somatic embryos were formed. These findings provide the first report of simultaneous shoot organogenesis and somatic embryogenesis of African violet explants in response to TDZ.